Aim:To investigate compensation management practices in media organisations.Objectives:1.To explore the difference between compensation management practices prevailing in print and electronic media organisations.2. To scrutinise the difference in perceptions of reporters and editors working in media organisations.3. To find perceptions of reporters and editors on compensation management practices prevailing in print and electronic media organisations. Methodology: Survey is done using questionnaire to gather data from editorial staff.Non-probability,purposive sampling method is used to gather data.Conclusions: There is no significant difference between perceptions of reportersand editors on fair wage prescribed by working journalistact. Hence, null hypothesis is accepted. There is no significant difference between groups and within groups of print and electronic media towards adequate compensation will be paid in case of removal, hence, null hypothesis is accepted. Majority of the respondents strongly disagree that each employee has a different compensation depending on his/her arrangement with the management. Human resource plays a crucial role in organizational success. Organization can only succeed with certain level of commitment and effort from its employees. All Organizations try to satisfy its employees to gain their commitment and loyalty. However, it is not easy for the organizations to be successful in making individual satisfied because people work for a wide variety of reasons, some want material success and others emphasize on challenging job. The organization will only thrive and survive when its employees are satisfied. Compensation is an important determinant of employees' satisfaction. A good compensation package is important to motivate the employees to increase the organizational productivity and achieving organisational goals.Thus, compensation helps in running an organization effectively and accomplishing its goals.Salary is just a part of the compensation system, the employees have other psychological and self-actualization needs to fulfill. Therefore, compensation serves the purpose. The most competitive compensation will help the organization to attract and retain the best talent. The compensation package should be as per industry standards and standard of living. Employees depend on compensation for their living. Most media companies produce a perishable commodity---information, in the form of news, entertainment, or persuasive messages. Once a message reaches its audiences it loses much of its value. If it is not produced and distributed in a timely and effective manner, it also loses value. Effectiveness, timeless, and perishability are closely intertwined, and collectively they have several important implications. It is an obvious fact that effective implementation of favorable compensation management will not only aid in stabilizing and retaining employees but also helps in reducing labor turnover within the media organization. Compensation management is an integral part of human resources management that affects the performance of employees because it establishes the degree of relationship between employer and the employee. One of the chief implications of media is that media companies must produce a new product during every production cycle: a new issue of the newspaper or magazine; a new episode of a television program or newscast; a new advertisement, book, record, or movie. In media organisations, the content of the product must be developed from scratch each time. It creates enormous deadline pressure, which demands a highly coordinated workflow. At the same time, it requires constant creativity and innovation on the part of media workers. That means trying new things and, at the same time keeping readers or audience attracted to your product. A special challenge for media managers is to work with their “creative” staff, the people who gather information and develop messages or who sell. Human resource is vital asset of any media company. Without their effective performance, media products will become hackneyed, which may ultimately result in the failure of the firm, or bring in insufficient revenue. One aspect that makes this a challenge for media managers is that people with high levels of creative reportorial writing, or copyediting skills, or outstanding sales talent are difficult to find. Thus, whatever the condition of the employment market, good people are always in high demand. Combined with the horizontal structure of most media companies, this creates the potential for constant raiding of a firm’s best employees by executives in other companies. Lateral movement between media firms is common as employees seek new challenges and new responsibilities. And good managers keep an ever present eye on outstanding performers in other firms. Employers and managers must make sure that employees value the compensational packages in order to motivate and increase in employee’s performance and retain the employees with the organisation. .
Electronic media organizations need creative personnel to produce quality programmes to attract and hold the viewers. Print media editorial staff has to develop content which interests the readers. Reporters travel a lot to gather news. They encounter many risks as part of their career. They have to be covered under insurance policy and medi-claim policy to face uncertain events. Reporters need extraordinary skills like listening, writing, analysing, knowledge on several issues, networking with people, and awareness on latest technology etc . Editors and sub-editors need to work round the clock depending on the type of media organisation they are working with. Paying satisfactory compensation is very important to motivate them and retain them. This particular paper investigates compensation management practices of media organizations, whether media organizations are implementing Working journalists Acts or not and the criteria used to decide compensation. Paying satisfactory compensation motivates the employees to contribute more to the organisation. It can be concluded that, no work has been found on Compensation Management practices in Media Organizations. So this research paper brings out Compensation management practices in media organizations and finds solutions to the problems in designing compensation packages for media personnel by media organisations. 1. To find out difference between perceptions of reporters and editors with regard to Compensation Management practices in media organisations. 2. To explore the difference between perceptions of reporters and editors working in print and electronic media organisations with regard to Compensation management practices. 3. To examine the perceptions of reporters and editors with regard to Compensation Management practices in media organisations. 1) Null Hypothesis (H0): There is no significant difference between perceptions of reportersand editors with referenceto compensation management practices in media organizations. Alternative Hypothesis (H1): There is significant difference between perceptions of reportersand editors with referenceto compensation management practices in media organizations. 2)Null Hypothesis (H0): There is no significant difference between perceptions of reportersand editors working in print and electronic media organisations with reference to compensation management practices in media organizations. Alternative Hypothesis (H1): There is significant difference between perceptions of reportersand editors working in print and electronic media organisations with reference to compensation management practices in media organizations. Exploratory research method and descriptive research design are adopted to conduct present study. This study tries to analyze perceptions of media persons on Compensation Management Practices prevailing in media organizations. Two methods were used to gather data for this research study. Survey method is used to gather primary data from the field with the help of questionnaire, from Editorial staff working in media organizations. The secondary data is gathered from published monographs, academic journals, previous research works, websites, books, magazines, unpublished research thesis etc. As for other requisite data, the researcher collected it from resourceful persons in concerned subjects through intensive in-depth interviews. This research relies on other researchers and authors findings, personal observations, experiences, values and assumptions about human nature. To derive criteria for various aspects of Compensation Management practices, these researchers and authors used a combination of empirical methods, such as, surveys, observations and depth-interviews to identify what aspects of the organization, work culture and compensational packages affect the overall quality of human experience in work roles. For this research, a composite set of criteria was constructed from the results of different researchers and a combination of items from various questionnaires. Survey research: Descriptive research poses questions about the nature, incidence or distribution of variables, and is primarily concerned with identifying the characteristics of a population (Ary, Jacobs & Razavieh, 2002; Borg and Gall, 1989).Cross-sectional survey is used to carry out present study. Survey provides comprehensive data which is representative of the population. Population:The target population of the study includes the editorial staff (Reporters and Editors only) in media organizations of Hyderabad: television news channels, Newspapers- Telugu, Hindi, English and Urdu. The researcher compiled a list of all media organizations in Hyderabad. In all 26 Organizations are selected for survey. Of 26 organizations, ten are print media organizations; sixteen are electronic media organizations (Television). Print media organizations employees less number of editorial staff compared to Television news channels. Media organizations with two years of functional experience were taken as part of the sample. In 26 Media organizations 1200 editorial staff was considered for the survey. Sample frame is list of editorial staff (reporters and editors) obtained from media organizations of Hyderabad. A single stage sampling procedures is used by the researcher, as researcher has access to names in the population and can sample the respondents directly.Non-probability, Purposive sampling method was adopted for the study, as respondents are chosen based on their convenience and availability. Editorial staff with minimum one year of experience is chosen to be part of the sample. For the selection of the ultimate sample, the employee list from the media organizations was used as the target population. Sample size: The subjects for this study consisted of, 59 reporters and 61 editors, in all 120 media professionals in Hyderabad. They represented two categories of services in 26 media organizations of Hyderabad. The sample size of 120 in this study meets the minimum requirement and is representative of the population, as it is 10% of the population. Data gathering instruments: One questionnaire was prepared for collecting data. The questionnaire is administrated to editorial staff of twenty six media organizations. Likert’s summated rating scale is used in preparing the questionnaire. The instruments were subject to the measurement error. In order to ensure the trustworthiness of the data collected, both validity and reliability issues were addressed. Validity Procedure: The instrument used in this study was evaluated for face and content validity by a panel of experts. The panel comprised of ten individuals with considerable experience with study content, instrumentation and statistics. It included four faculty members from Department of Communication and Journalism, Osmania University; Hyderabad and experienced journalist with minimum ten years of experience. The members of the panel were asked to individually critique the instrument’s content, clarity, format/length, wording and overall appearance. The members were asked to check whether the items included in the questionnaire actually measured the construct, and whether they were understandable. Based on their suggestion, some of the questions were simplified to make it more clear and understandable, and the double barreled questions were split into two separate questions. Even though the items included in the questionnaire were from developed studies with established reliability score, the members suggested conducting a reliability test. Finally, the members also compared the items included in the questionnaire with the research objectives. Reliability Procedure: Although the measures of the instruments in this study were adopted from previously developed study, the reliability of each construct was examined with Cronbach’s alpha through a pilot test conducted with 20 Journalists. The pilot test was conducted in four media organizations. Reliability of the instrument was ascertained using the test -retest method and the correlation coefficient was 0.98. Administration of Questionnaire for editorial staff: Editorial staff, who volunteered to respond to the researcher’s questionnaire, was administered with the questionnaire. Researcher personally visited 26 media organizations and got in touch with the head of Human resource department, and explained the objective of this present academic research and, how it will be useful to media organizations. Most of the HR department personnel did not find objections and cooperated with the researcher by giving him copy of names of their editorial staff. Processing of the data: Editing of the data gathered from the field is done for omissions, legibility and consistency. Classification of the data is done according to the category to which it belongs. Because this study involves, large number of different kinds of questions presented to the sample of population for responses. The responses obtained were grouped into limited categories for answering research questions. During the coding process, every effort has to be made not to overlook important data. This helps the researcher to get a better understanding about the collected data through tabulation and classification. A code sheet for the each questionnaire is prepared to tabulate the data into SPSS soft ware. As Likert- five point scales is used in the questionnaires, each question is given a unique code and each response is given with a weight from 1 to 5. With the help of code sheets, data view and variable view sheets in SPSS soft ware were filled. Analysis and Interpretation of the Data: Researcher used SPSS soft ware version 19 for data analysis. Tables for interpretation and analysis were obtained from the data through SPSS soft ware. Standard deviation, Mean, Central tendency, Cross-tabs,T-test, and ANOVA were done to analyze the data. Scope of the Study: Research is conducted in select media organizations among Telugu television channels, Telugu newspapers, English newspapers, Urdu newspapers in Hyderabad. Only editorial staff of above media organizations is taken into our research purview. Limitations of the study: This research is specific as it covers select few media organizations and only editorial staff, which will not give us true picture of compensation management practices followed in whole organization at various levels of employees in different departments. As present research uses non-probability, Purposive sampling method, findings cannot be generalized to the whole population. Area of Research, Hyderabad: Hyderabad is capital of the state of Telangana, as of 2011 it is the sixth most populous city and sixth-most populous urban agglomeration in India. As of now the city covers an area of approximately 650 sq.km. Twin cities of Hyderabad and Secunderabad come under the ambit of a single municipal unit, The Greater Hyderabad Municipal Corporation. The city’s population in 20011 was seven million. Media Scenario in Hyderabad: Hyderabad is home to the second largest film industry in India. It produces approximately three hundred movies every year. The radio industry has expanded with seven private and government owned one FM channel. State-owned Doordarshan transmits two terrestrial television channels, one DD national and another DD Yadagiri. There are around 30 prominent private regional television channels broadcasting. Hyderabad has several print media groups that publish several newspapers and magazines in Telugu,Urdu, and English.There are nine major Telugu dailies. There are 12 major English dailies. There are five major Urdu dailies. Around five Lifestyle magazines are published from Hyderabad. 1.To find out difference between perceptions of reporters and editors with regard to Compensation Management practices in media organisations. From the table it is evident that mean value of reporters is 1.9180 and mean value of editors is 2.3729, standard deviation of reportersis 1.22875, standard deviation of editorsis 1.68050, value of t, when varianceis assumed is -1.697, degree of freedomis 118, level of Significance is 0.092, p>0.05; Therefore, it is inferred that there is no significant difference between perceptions of reportersand editors on fair wage prescribed by working journalistact. Hence, it canbe concludedthat null hypothesis is accepted.Pay continues to be importantin determining motivation to perform(McCallum 1998). A fair wage is the cornerstone of the contractual and impliedagreements betweenemployees and employers, the underlying assumption being that money can influencebehaviour (Parker and Wright 2001). From the table it is evident that mean value of reportersand editors respectively is 2.2787 and 2.3559.Standard deviation of reportersand editors respectively is 1.27973, and 1.49439.Value of t is -.304,degree of freedomis 118, Significance level is .761, p>0.05, thus it is understood that there is no significant difference between reporters and editors perceptions with respect to Wja is followedin providing leavesand medical allowances, hence null hypothesisis accepted. A statistical significant and positive relationship was found to govern rewards and motivation, implying that if rewards being offered/ to employees were to be altered, then there would be a corresponding change in satisfaction and work motivation while the periodic salary increments, allowance, bonuses, fringe benefits and other compensations on regular and specific periods keep their morale high and makes them more motivated (Danish and Usman 2010). The above tablemanifests mean value of reportersand editors respectively is 1.9344 and 2.3220.Standard deviationof reporters and editors respectively is 1.19539 and 1.61289.Value of t is -1.499,degree of freedom is 118, Significance level is .137, p>0.05, thus it is clear that there is no significant difference between perceptions of reportersand editors with regard to working journalist act is followed in taking prescribed number of hours. Hence,null hypothesis is accepted. From the table it is manifestthat mean value of reportersand editors respectively is 1.8197 and 1.6441,standard deviationof reporters and editorsrespectively is .69542 and .66340. Value of t is 1.415, and degree of freedom is 118, Significance level is .160, p>0.05, thus it is inferredthat there is no significant difference between perceptions of reportersand editors with respect to Org shares medi-claim insurance policy with employeesto compensates for healthproblems, hence null hypothesisis accepted. From the table it is obviousthat mean value of reportersand editors is 4.0328 and 4.2034respectively, value of t is -.953; at degree of freedom 118; at level of Significance is 0.343; p>0.05, hence it can be inferredthat there is no significant difference betweenresponses of reportersand editors with respect to pay hike depends on likes and dislikesof superiors or management.Thus, null hypothesis is accepted. .042, degree of freedom is 118, Significance level is .966, p>0.05, thus it is inferred that there is no significant difference between perceptions of reportersand editors with respect to clear criterion is not made known for fixing compensation,hence null hypothesis is accepted. From the table it is evident that mean value of reportersand editors is 2.5246and 2.6271 respectively, standard deviation of reportersand editors is .99342 and 1.20199 respectively, value of t is -.510,degree of freedomis 118, Significance level is .611, p>0.05, thus it is concludedthat there is no significant difference between reporters and editorswith respect to pay raisesdepend on how well employeesperform their jobs, hence null hypothesisis accepted. (Campbell: 1998)Merit pay is the subjectof much debate.Advocates argue that only pay or otherrewards tied directly to performance canmotivate improved performance. 2.To explore the difference between perceptions of reporters and editors working in print and electronic media organisations with regard to Compensation management procedures. 1.From the table it is learnt that F(1, 118)= 3.898, p= 0.051, p>0.05, therefore, it is understood that there is no significant difference between groups and within groups of print and electronic media towards adequate compensation will be paid in case of removal, hence, null hypothesis is accepted. 2.followed by F(1, 118) =0.187, p=.666, p>0.05, hence it is inferred that there is no significant difference between groups and with in groups of print and electronic media with respect to adequate compensation will not be paid incase of removal,hence, null hypothesis is accepted. 3. F(1, 118)= 3.559, p=.062, p>0.05, therefore it is concluded that there is no significant difference between groups and with in groups of print and electronic media with regard to pay hike is dependent on likes and dislikes of superiors or management, hence, null hypothesis is accepted. 4. followed by F(1,118) = 8.426, p= 0.04, p<0.05, consequently, there is significant difference between groups and with in groups of print and electronic media towards pay is lower here than other organisation,hence, null hypothesis is rejected. .5. From the study it is learnt that F(1, 118)=2.360, p= 0.127, p>0.05, therefore it is understood that there is no significant difference between groups and within groups of print and electronic media towards pay raises depend on how well employees perform their jobs ,hence, null hypothesis is accepted.6. followed by F(1, 118) = 0.117, p=0.733, p>0.05, hence it is inferred that there is no significant difference between groups and with in groups of print and electronic media with respect to satisfied with pay as they satisfy with my qualifications, hence, null hypothesis is accepted.7. Subsequently, F(1, 118)= 0.431, p=0.513, p>0.05, there fore it is concluded that there is no significant difference between groups and with in groups of print and electronic media with regard to presence of attractive compensation,hence, null hypothesis accepted, 8. followed by F(1,118) = .763, p= .384, p>0.05,consequently, there is no significant difference between groups and with in groups of print and electronic media towards presence of salary that encourages better performance,hence, null hypothesis is accepted. 9.From the study it is learnt that F(1, 118)=0.500, p= 0.481, p>0.05, therefore it is understood that there is no significant difference between groups and within groups of print and electronic media towards bonus is part of compensation,hence, null hypothesis is accepted,10. followed by F(1, 118) = 50.360, p=.000, p<0.05, hence it is inferred that there is significant difference between groups and with in groups of print and electronic media with respect to presence of salary that reflects the standard of living, hence, null hypothesis is rejected, 11. Subsequently, F(1, 118)= 9.464, p=0.003, p<0.05, therefore it is concluded that there is significant difference between groups and with in groups of print and electronic media with regard to compensation is different for each employee, hence, null hypothesis is rejected,12.Subsequently, F(1,118)=9.464,p=0.003,p<0.05, there is significant difference between groups and with in groups of print and electronic media towards fringe benefits are fair compared to other organizations, hence, null hypothesis is rejected,. 13. followed by F(1,118) = 10.684, p= 0.001, p<0.05, consequently, there is significant difference between groups and with in groups of print and electronic media towards clear criterion is not made known for fixing compensation, hence, null hypothesis is rejected. 3. To examine the perceptions of reporters and editors with regard to Compensation Management practices in media organizations. Organization pays adequate and fair compensation; the lower number of the respondents agree that organization pays adequate and fair compensation. Compensation management is concerned with the formulation and implementation of strategies and policies that aim to compensate people fairly, equitably and consistently in accordance with their values to the organisation, (Armstrong, 2005). traveling and daily allowance; followed by one-quarter of the respondents agree that reportersare compensated towards travelingand daily allowance;the lowest number of the respondentsstrongly disagree that reportersare compensated towards traveling and daily allowance. Little less than one-third of the respondents disagree that sub-editors are compensated for traveling in the night; followed by little over one-quarter of the respondents moderately agree that sub-editors are compensated for traveling in the night; the lowermost number of the respondents agree that sub-editors are compensated for traveling in the night. and dislikes of superiors or management; followed by little over one-third of the respondents agree that pay hike is dependent on likes and dislikes of superiors or management; the lowest number of the respondents disagree that pay hike is dependent on likes and dislikes of superiors or management. Little less than one-third of the respondents moderately agree that pay is lowerhere than other organization; followed by little over one-quarter of the respondents strongly disagree that payis lower here than other organization; one-tenth of the respondents disagree that pay is lower here than other organization. their jobs, followed by one-half of the respondents moderately agree that pay raises depend on how well employees perform their jobs; little less than one-tenth of the respondents strongly agree that pay raises dependon how well employees perform their jobs. Compensation management as the name suggests, implies having a compensation structure in which the employees who perform better are paid more than the average performing employees (Hewitt, 2009). This encourages employees to work harder in order to regain more salaries. Little over one-half of the respondents disagree that satisfiedwith pay as theysatisfy with my qualification; followed by littleless than one-fifth of the respondentsmoderately agree that satisfiedwith pay as they satisfy withmyqualification; the lowest number of the respondents strongly disagree that satisfied withpay as they satisfy withmyqualification. Little over one-half of the respondents disagree that presence of attractive compensation;the lowest number of the respondents strongly agree that presence of attractive compensation. Harrison and Liska (2008) in their study positioned that reward is the centre piece of the employment contract; after all it is the main reason why people work. This includes both extrinsic and intrinsic rewards received as a result of the employment by the organisation. Little over one-third of therespondents disagree that presence of salary that encourages better performance; followed by one-quarter of the respondents moderately agree that presence of salary thatencourages better performance; little less thanone-tenth of the respondents strongly disagree and the same percent strongly agree that presence of salarythat encourages better performance. In similar pattern, Brown (2003) saw compensation as a return in exchange between the employees and themselves as an entitlement for being employee of an organisation, or as a reward for a job well done, Employees pay does not depend solely on the jobs they hold, instead organisation vary the amount paid according to differences in performance of the individual, group or whole organisation and differences in employees qualities such as security, education levels and skills (Gehart and Milkovich 1992). Little over one-quarter of therespondents agree and thesame percent of respondents strongly disagree that bonus is part of compensation;the lowest number of the respondentsstrongly agree that bonus is partofcompensation. Little less than one-half of the respondents disagree that presence of salarythat reflects the standardof living; followed by little over one-fifth of the respondentsmoderately agree that presence of salary that reflectsthe standard of living; little less than one-tenth of the respondents agree that presence of salary thatreflects the standard of living. Little less than one-third of therespondents strongly disagree that each employee has a different compensationdepending on his/her arrangement withthe management; followed by aroundone-fifth of the respondents agree that each employee has a different compensation depending on his/her arrangement with themanagement; the least number of therespondents disagree that each employee hasa different compensation depending on his/her arrangement withthe management. Little less than one-third of therespondents strongly disagree that fringe benefits are fair compared to other organizations; followedbyone-quarter of the respondents disagree that fringe benefits are fair compared to other organizations; substantially less than one-tenth of the respondentsstrongly agree that fringe benefits are fair compared to other organizations. Compensation is defined by Mondy (2010) as the total of all rewards provided to employees in return for their service, the overall purposes of which are to attract, retain and motivate employees. As compensation is comprised of both fixed and variables components as well as employees benefits and services, an optimum combination of these elements is ideal to effectively influence employees’ performance. However, direct compensation fully mediates the relationship between indirect compensation and performance (Namasivagam and Zhao 2007). Little less than one-third of the respondents strongly agree that clear criterion is not made known for fixing compensation; followed by littleover one-quarter of therespondents strongly disagree that clear criterion is not made known for fixing compensation; substantially less thanone-tenth of the respondents agree that clear criterion is not made knownfor fixing compensation. 1.To find out difference between perceptions of reporters and editors with regard to Compensation Management procedures in media organisations. There is no significant difference between perceptions of reportersand editors on fair wage prescribed by working journalistact. Hence, null hypothesis is accepted. There is no significant difference between reporters and editors perceptions with respect to Wja is followedin providing leavesand medical allowances, hence null hypothesisis accepted. There is no significant difference between perceptions of reportersand editors. Hence,null hypothesis is accepted. There is no significant difference between perceptions of reportersand editors with respect to Org shares medi-claim insurance policy with employeesto compensates for healthproblems, hence null hypothesisis accepted. There is no significant difference betweenresponses of reportersand editors with respect to pay hike depends on likes and dislikesof superiors or management.Thus, null hypothesis is accepted. There is no significant difference between perceptions of reportersand editors with respect to clear criterion is not made known for fixing compensation,hence null hypothesis is accepted. There is no significant difference between perceptions of reportersand editors withrespect to Org pays adequateand fair compensation, Hence, null hypothesis is accepted. There is no significant difference between perceptions of reportersand editors with regard to Presenceof salary that encouragesbetter performance. Hence, null hypothesis is accepted. There is no significant difference between reporters and editorswith respect to pay raisesdepend on how well employeesperform their jobs, hence null hypothesisis accepted. There is no significant difference between groups and within groups of print and electronic media towards adequate compensation will be paid in case of removal, hence, null hypothesis is accepted. There is no significant difference between groups and with in groups of print and electronic media with respect to adequate compensation will not be paid incase of removal, hence, null hypothesis is accepted. 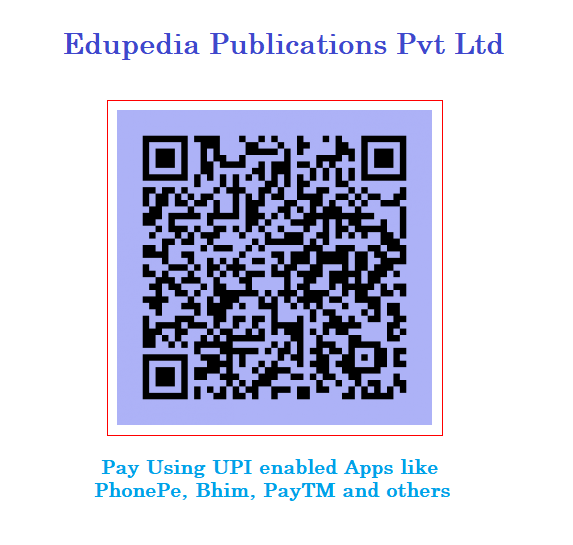 There is no significant difference between groups and with in groups of print and electronic media with regard to pay hike is dependent on likes and dislikes of superiors or management, hence, null hypothesis is accepted. There is significant difference between groups and with in groups of print and electronic media towards pay is lower here than other organisation,hence, null hypothesis is rejected. There is no significant difference between groups and within groups of print and electronic media towards pay raises depend on how well employees perform their jobs ,hence, null hypothesis is accepted. There is no significant difference between groups and with in groups of print and electronic media with respect to satisfied with pay as they satisfy with my qualifications, hence, null hypothesis is accepted. There is no significant difference between groups and with in groups of print and electronic media with regard to presence of attractive compensation,hence, null hypothesis accepted. There is no significant difference between groups and with in groups of print and electronic media towards presence of salary that encourages better performance,hence, null hypothesis is accepted. There is no significant difference between groups and with in groups of print and electronic media towards presence of salary that encourages better performance,hence, null hypothesis is accepted. There is no significant difference between groups and within groups of print and electronic media towards bonus is part of compensation,hence, null hypothesis is accepted. There is significant difference between groups and with in groups of print and electronic media with respect to presence of salary that reflects the standard of living, hence, null hypothesis is rejected. there is significant difference between groups and with in groups of print and electronic media towards fringe benefits are fair compared to other organizations, hence, null hypothesis is rejected. there is significant difference between groups and with in groups of print and electronic media towards clear criterion is not made known for fixing compensation, hence, null hypothesis is rejected. The need to manage the "data" is crucial for a meaningful analysis and result. A high degree of accuracy and experience is demanded when dealing with never ending datasets. A considerable improvement in Data presentation & Analysis can be made in a shorter period of time by following data management best practices. Ary, D., Jacobs,L.C., & Razavieh,A.(2002). An Introduction to research in education, Belmont, CA: Wadsworth/Thomson Learning. Borg, W.R., & Gall, M.(1989). Educational research:An introduction (5th ed.). New York: Longman. Campbell, Donald et al.,(1998). “Merit Pay, Performance Appraisal, and Individual Motivation: An Analysis and Alternative”, Human Resource Management 37, no.2 ,pp. 131-146. McCallum, J. S. (1998). ‘Involving Business’. In Ivey Business Quarterly Summer, v62, i4, pp. 65-68. Mondy (2010). Compensation Management and Job Satisfaction, International Journal of Human Resource Management. Parker, O. and Wright, L. (2001). ‘Pay and employee commitment: the missing link.’ In Ivey Business Journal, Jan, v65, i3, pp. 70-79. Rayton, B.A (2003). Firm Performance and Compensation Structure; Performance Elasticities of Average Employee Compensation. Journal of Corporate Finance, 9, 333-352. Sola A.,& Ajayi W. (2001) “Personnel Management and Organizational Behaviour”, Evi Coleman Publishing, Ibadan.